What did I think of “You”? Whether you’re on parental leave, a SAHP or you just enjoy a good Netflix binge, you must have heard of “You”. Based on the book by Caroline Kepnes, the story centres around bookstore manager Joe Goldberg and aspiring writer Guinevere Beck, known to her friends simply as Beck. When she steps inside Joe’s bookshop Mooney’s, he instantly becomes obsessed with her and is willing to do anything for her. Spoilers ahead so if you haven’t seen it yet and it’s on your list, come back and read this when you’re finished! Joe learns Beck’s name from the card she uses to pay with and from this simple piece of information, he can find out everything about her through social media; where she lives, her friend’s names, where she works…it’s quite scary really. Being a blogger and promoting through social media means that a lot of my life is online. Watching this series really made me think about what I share and whether it’s really necessary. Obviously, I’m married so I’m not going to be meeting new men in bookshops but that doesn’t stop someone if they really want to know about you. One of the most disturbing things about the series is that you really like Joe. I found myself rooting for him as he snooped around Beck’s apartment, picking up her underwear and smelling her used yoga top. I didn’t want him to get caught. He’s a really likeable character, something which I didn’t expect. Played by Penn Badgley, the fact that he’s easy on the eye probably helped that! But that’s how a lot of men get away with this behaviour, look at Ted Bundy. The reason he was able to lure women in to murder them was because he was really good looking. Speaking of murder, it’s only in the second or third episode that Joe commits his first murder. Or so you think. His victim is Beck’s on/off boyfriend Benji who isn’t good for her which is how he justifies it in his head. Same with her friend Peach who takes an instant dislike to him. Joe figures out that she needs to be out of the picture if he’s going to be happy with Beck. With Joe’s voice explaining every decision he makes as a narration, it really gives you an insight into how he feels and it almost makes you understand him. I won’t ruin the ending for you but I didn’t see it coming. I watched it on the train back from Manchester and I was on tenterhooks for the whole episode; I think I actually gasped out loud at one point! I finished it a week ago and I’m already wishing that I could go back and watch it again. I a really made a deal with Gareth that if I watched all three of the Lord of the Rings films, then he has to watch You. We’ve watched two of the LOTR films and last night, we watched the first two episodes of You. It’s even better the second time around because I know what’s going to happen so I’m spotting things that I missed. However, I have to say that I don’t condone Joe’s behaviour at all. Just because I found myself sympathising with him doesn’t mean that I think his behaviour is OK in any way. There are thousands of women out there who have experienced or who are experiencing this behaviour right now and I imagine that it’s absolutely terrifying. I think that the one thing You does; highlight how easy it is to find out information on someone just by using the Internet and we should all be more careful about what we post. 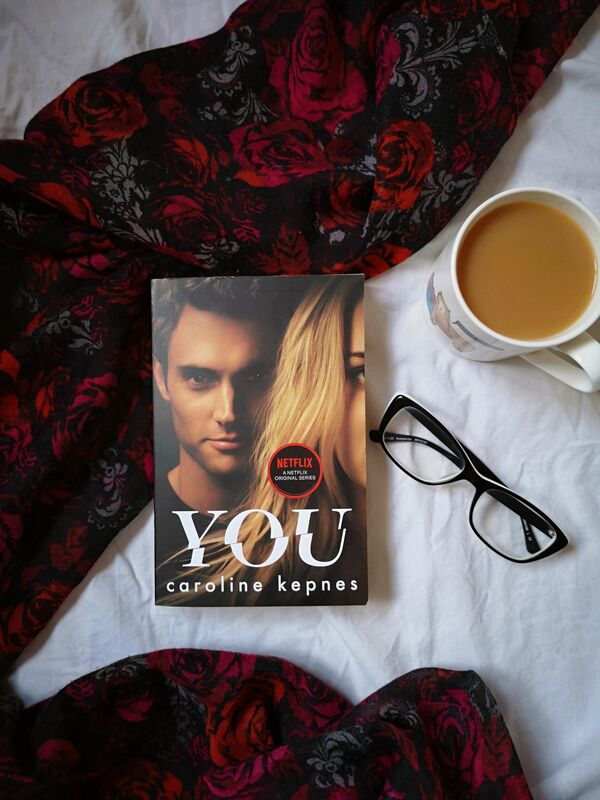 With lots of twists, turns and cliffhangers, You is the perfect series to keep you guessing. Every episode is a rollercoaster of emotions and I’m yet to meet someone who hasn’t liked it. So grab your duvet and settle down for a Netflix binge!